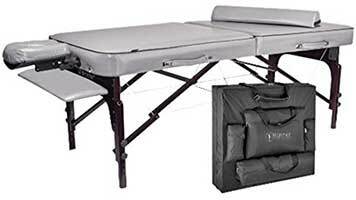 The BestMassage 3-inch Pad Portable Massage Table looks exactly like the BestMassage Portable Facial Spa Bed, but it has three major upgrades, which we will discuss later in this review. 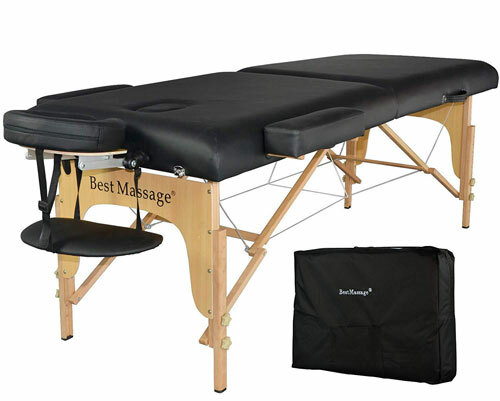 BestMassage is known for its budget friendly massage and Reiki tables. 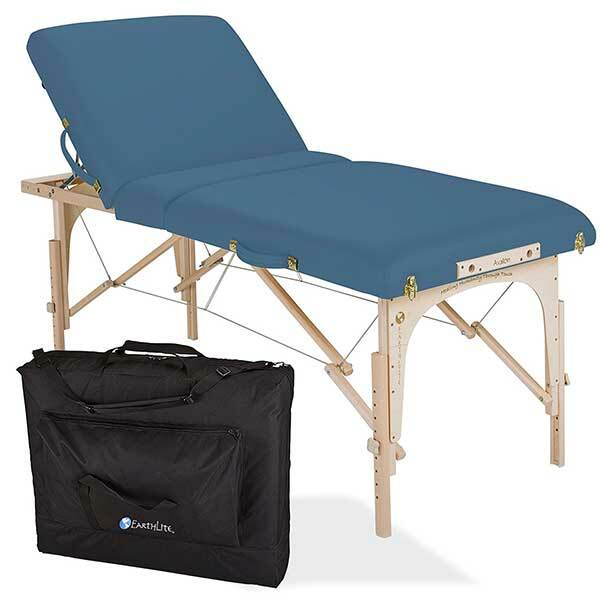 When it comes to affordable portable massage tables with Reiki panel support, BestMassage frequently pops up on the list. Padding is half an inch thicker at 3 inches (from 2.5). The length has been increased by 3 inches at 77″ (from 74). The adjustable height has been increased by 3 inches at 26-36 inches (from 23-33). 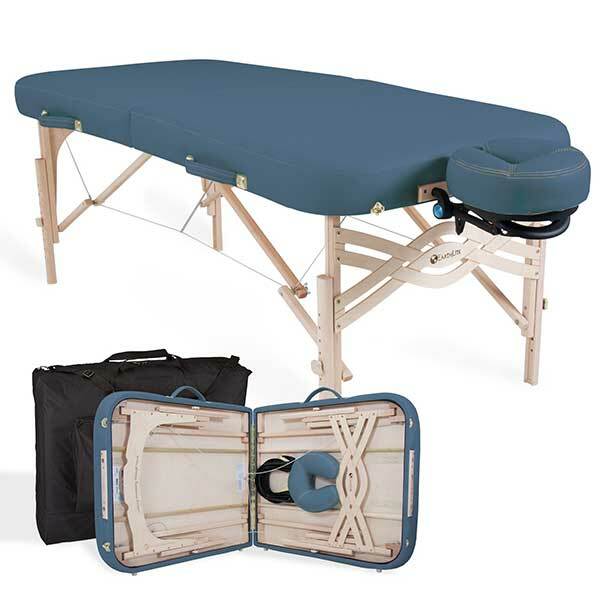 The BestMassage 3-inch Pad Portable Massage Table is capable of supporting loads not exceeding 450 lbs. A lot of users have confirmed this. 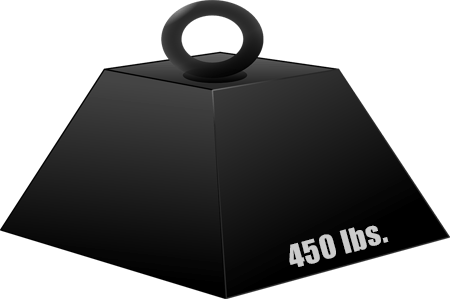 Some even claim that it can hold more than that. The 3-inch padding is also firm. It won’t easily lose its shape after many uses. Another great thing about this massage table is that it doesn’t wobble nor make squeaking sounds. 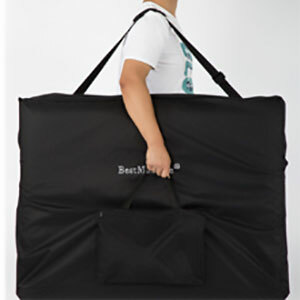 At around 35 lbs., the BestMassage 3-inch Pad Portable Massage Table is not easy to carry around. 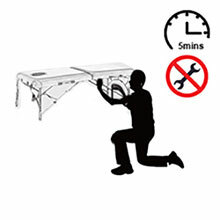 While it is designed to be portable due to its tool-free operation, some people might have a hard time carrying this table from one location to another. 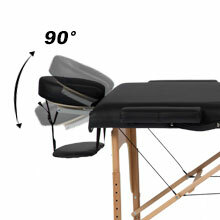 Check out our Massage Table Cart Guide if weight is a concern. The covering is also another thing to worry about. 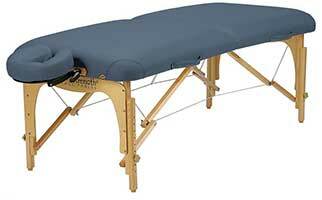 Most, if not all, massage and Reiki tables use synthetic leather. It’s inexpensive and easily available. However, the material doesn’t last long. 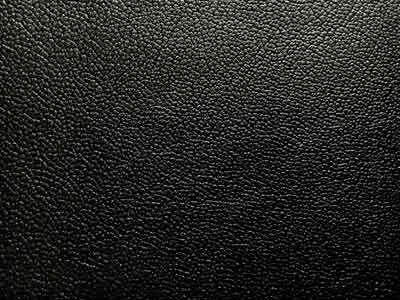 There are ways to prolong the lifespan of PU leather. For instance, using massage table sheets and massage table warmers protect the material underneath from liquids or chemicals that could be damaging. Regardless, the material will wear out at some point. 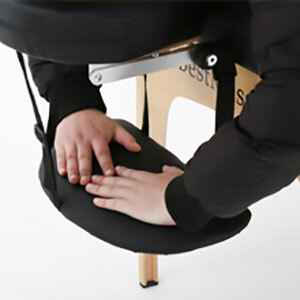 The headrest is probably the Achilles’ heel of most massage or Reiki tables. This particular table does not have a high quality headrest and face pillow. There were reports of the headrest breaking in the middle of a session. Fortunately, there are several third party headrests that can be used in place of the one included in this package. 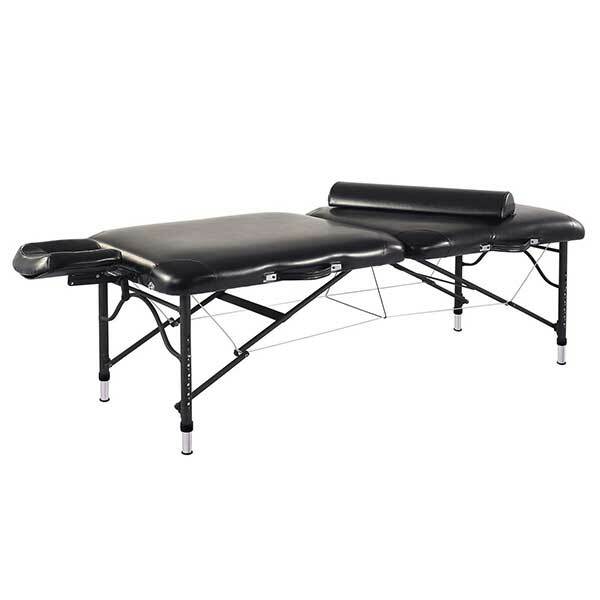 Can this massage table be used in a production environment? Well, this is an inexpensive table with components that may not be designed to handle excessive usage patterns, such as in spas. It would be risky to use it in these conditions. 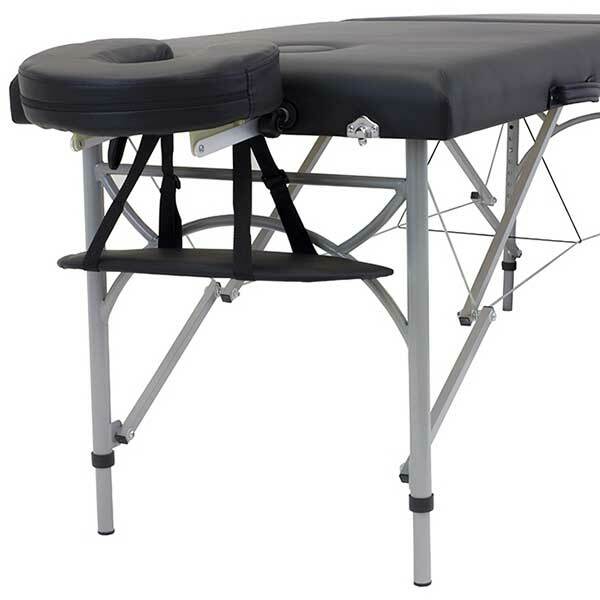 Overall, the BestMassage 3-inch Pad Portable Massage Table is perfect for home use. It’s also a bang for the buck for those taking up apprenticeship programs in massage therapy or energy healing.